The Pennsylvania Railroad's history has been a long and colorful one. 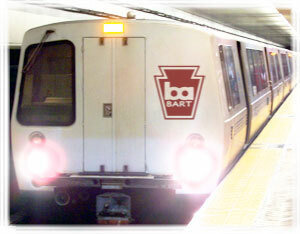 Our roots reach back to some of the earliest days or railroading in the United States. From its earliest days, the Pennsylvania Railroad and its predecessors have served as vital links between towns and cities, and even helped bridge the country for the first time. Read more to learn about how the Pennsylvania Railroad Corporation came to be what you know today. The Pennsylvania Railroad Corporation is comprised of three major subsidiary railroads: The Pennsylvania Rail Lines, the Colorado & Southern Railroad, and the Rio Grande Western Railroad. All operate under the Pennsylvania Railroad brand. Although we have endeavored to include as many of our predicessor railroads as possible in this history, we cannot possibly include all of them. Many of the roads that merged into one of the our subsidiaries over the years have their own historical societies. Please contact any of them or our own Public Relations Dept. with any inquiries regarding information presented or omitted in this history. 1893, George Roberts gives Cassatt the go-ahead to formalize a plan for the Pennsylvania Pacific. 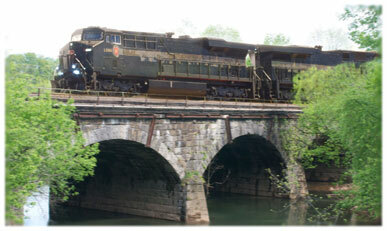 1894, The Pennsylvania Pacific Corporation is formed by the Pennsylvania Railroad. Alexander Cassatt serves as president. 1901, In order to help fund the expansion efforts of the Pennsylvania Pacific, the Pennsylvania Railroad sells its line from Fassett, PA to Sodus Pt., NY to the New York Central Railroad. 1902, The Philadelphia, Wilmington & Baltimore and Baltimore and Potomac are consolidated as the Philadelphia, Baltimore & Washington, which forms the Washington Terminal Company with the Baltimore & Ohio to build a new Union Station in Washington D.C.
1905, The Pennsylvania Railroad runs the first direct train from San Francisco to Jersey City, NJ via operating agreements with the Central Pacific, Rio Grande Western, Colorado Midland, and Colorado and Southern. 1905, The Pennsylvania Railroad runs the first direct train from San Francisco to Jersey City, NJ via operating agreements with the Southern Pacific, Central Pacific, Rio Grande Western, Colorado Midland, and Colorado and Southern. 1912, Shareholders and the ICC approve a merger of the Fort Worth and Denver City, Kansas Pacific, and Denver Pacific into the Colorado and Southern. 1915, The Pennsylvania Pacific leases the Oakland, Antioch, and Eastern Railroad and begins upgrades to the route, as well as construction of a bridge over the Suisun Strait to guarentee its own path to San Francisco. 1917, Upgrades to the Oakland, Antioch, and Eastern Railroad are completed. 1920, Two bores of the Cassatt tunnel meet under Mt. Sniktau. Two weeks later, the Pennsylvania Railroad begins operation of the Pennsylvania Limited with direct service from San Francisco to New York via the Rio Grande Western, Colorado Junction, and Colorado Southern. 1923, The Colorado and Southern begins converting narrow gauge lines to standard gauge. 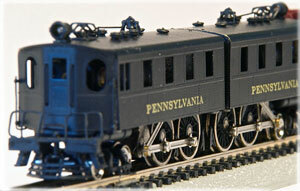 1929, The Pennsylvania Pacific is dissolved and passes all of its leases and holdings to the Pennroad Corporation. 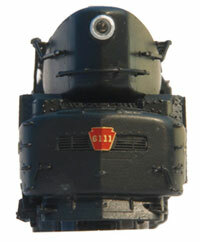 2014, The Pennsylvania Railroad invests in the private effort to build a new PRR class T1 steam locomotive.